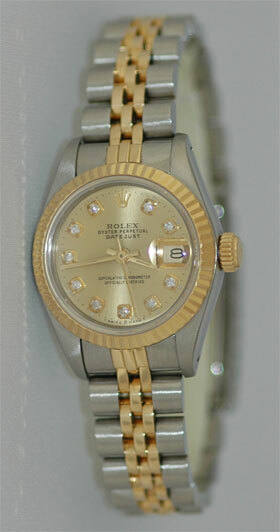 Certified Pre-owned Rolex Lady Datejust. Stainless Steel and 18K gold. Custom champagne diamond dial. Circa 1990's. Mint condition.